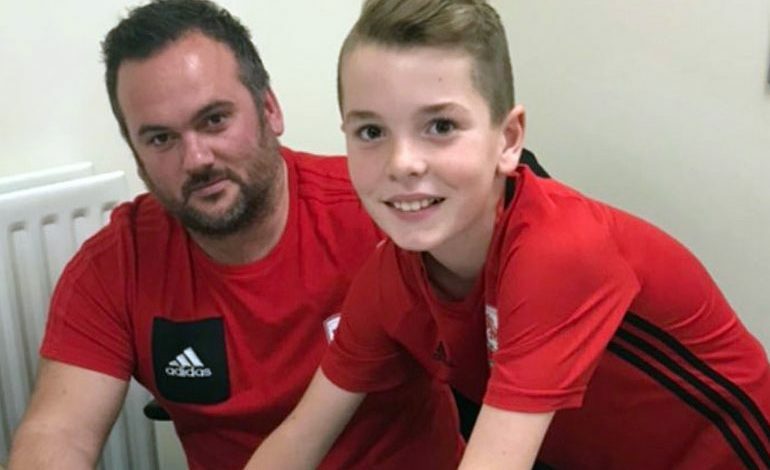 Newton Aycliffe Juniors player Zack Blythe this week signed to play for Middlesbrough FC’s Academy. Newtonian Zack, who attends Woodham Academy, completed a successful six-week trial and has now committed to play for Boro for the rest of 2017-18 season. Zack started the season in the successful Aycliffe Juniors under 12’s team scoring nine goals in the first three games to impress the Boro scouting network. He has been a key part of the Aycliffe squad ever since he joined the club at four years old. Zack has played more than 100 competitive games for the Juniors scoring more than 100 goals in those games and many more in tournaments and friendlies. The majority of these goals coming from his excellent left foot! As a member of this great Aycliffe squad Zack has won four TJFA league titles, the league cup and many tournaments. Last season as an Under 11 he featured for the Darlington District Schools team as they progressed to the national finals. He also scored two goals in this teams county cup win. “It is a credit to the teams manager, Adrian Dawson, that Zack is the third player from his squad to sign for a professional club in the last 15 months,” said a spokesman for Aycliffe Juniors. “Zack is pleased to sign for the team he supports and follows with his family as a season ticket holder.